The Speaker tonight will be Ashley Higgs who will give a short talk on Iridium Flares. The Annual General Meeting will be held this evening. 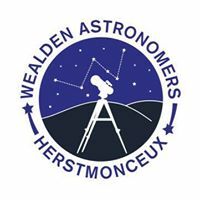 Any members wishing to stand for any position on the Wealden Astronomers committee shall let the acting secretary (John Fox) know of their intention not less than 28 clear days before the date of the Annual General Meeting.